1:35 PM PT -- Apple's new watch is ruffling some feathers. The folks at Life Alert reached out to inform us they trademarked the famous phrase, "Help, I've fallen and I can't get up" ... which was our original headline. They weren't too happy because they feel like our post promotes a competitor's "similar feature" ... a violation of their trademark. The seniors falling biz is serious stuff, y'all. Apple's latest game-changing tech is essentially a Life Alert-like bracelet with a built-in heart monitoring system too -- all packed into a new watch. 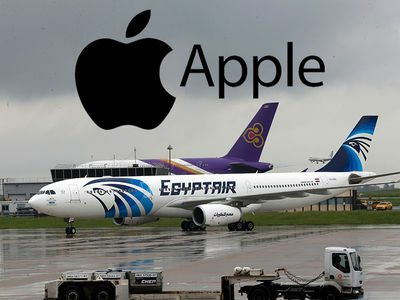 Apple's COO Jeff Williams introduced a number of new features Wednesday for the company's Apple Watch Series 4, but none more fascinating than its new fall detection and electrocardiogram technology ... which could potentially save lives. 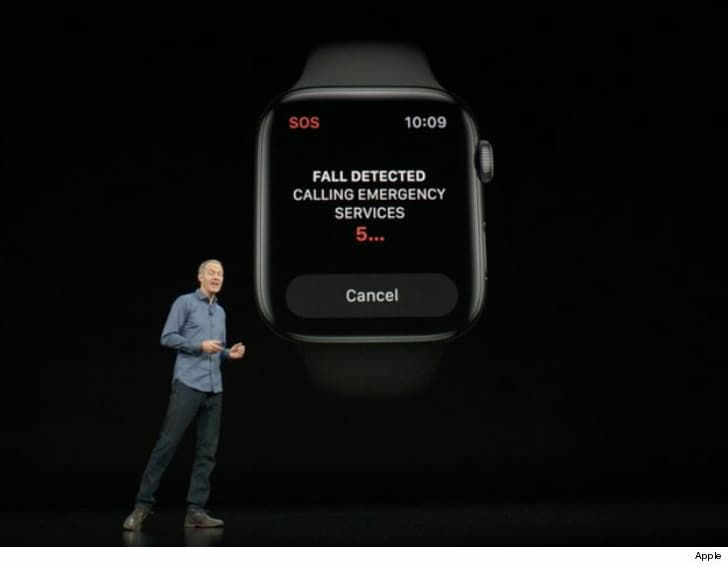 Williams says the new watch can detect when you've taken a hard fall, and automatically call emergency services if you don't respond to the alert. It'll also reach out to your emergency contacts. Not just that ... but the watch's new ECG feature measures heart rate and will let you know if anything is irregular or potentially dangerous. Kinda like having an ER on your wrist. 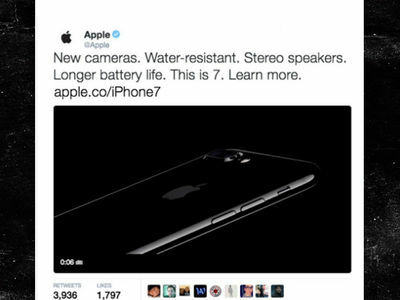 Apple says the FDA's signed off on all this new tech. The watch's new capabilities certainly seem aimed at a new demographic that perhaps might've escaped Apple's clutches before ... senior citizens. The Series 4 watch will start at $399, and go up from there depending on the model. Of course, Apple also unveiled 3 new iPhones -- the XR, XS and XS MAX. The XR's Apple's newly discounted iPhone that starts at $749. It comes in 6 colors including white, black, blue, yellow and red. But, the bells and whistles are really with the XS and the bigger XS MAX, which comes with a 6.5-inch screen ... making it the biggest screen ever on an iPhone. It's also the priciest starting at $1,099. The XS starts at $999. New camera features let you blur the background in photos AFTER snapping pics. There was also a cool moment during the event when newly-minted NBA Hall of Famer Steve Nash hit the stage to pimp an app he's been working on -- Homecourt. The app -- with help from the camera -- tracks real-time shot science that measures release speed, time, speed and height among other cool things.